Set A New Tradition by Setting Your Thanksgiving Table Home For the Holidays? Styled Events & Invitations is always there for our clients’ big life moments and now we have an announcement of our own. 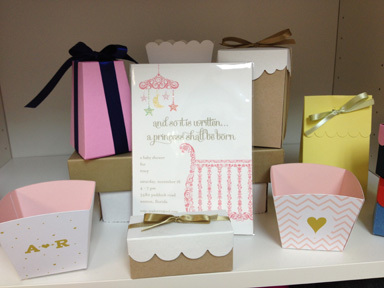 We are expanding our Paper Studio to include an even larger selection of invitations and party favors. We have added many more books to our already expansive list of popular lines. Whatever you are celebrating, we can help you announce it in a big way: Weddings, Bar/Bat Mitzvahs, New Baby, Quince, Sweet Sixteen, Birthday and Holiday. 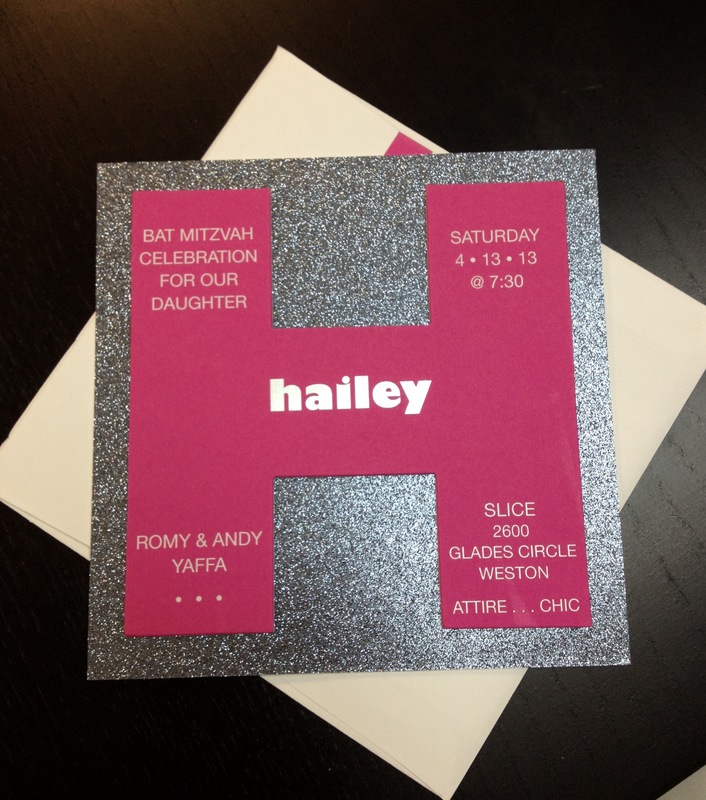 If you are searching for something different, we can create a custom invitation just for you. 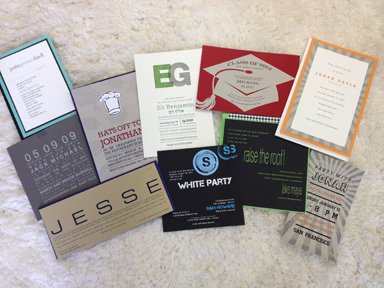 We have a large variety of cardstock to choose from and are obsessed with fonts and logo design. 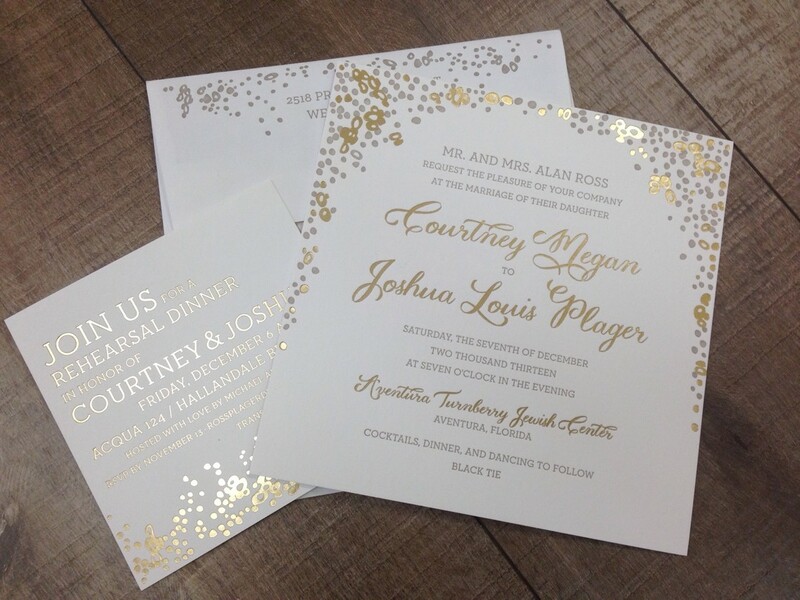 The first thing your guest will see is the invitation to your party. It sets the tone and theme while creating excitement, so it should reflect exactly what you want. Upon leaving your party, we like to recommend a token gift for your guests (aka: the party favor) since this is the last thing your guest will see and have as a souvenir. It can be as small as a bag or box of candy or as large as … You name it, we can pretty much put your party logo on just about anything: t-shirts, hoodies, blankets, sweatshirts, boxers, pjs… the list is endless. 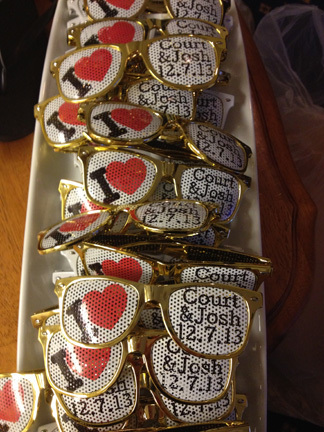 We also make great bridal party gifts such as bathrobes, lingerie and hotel bags. 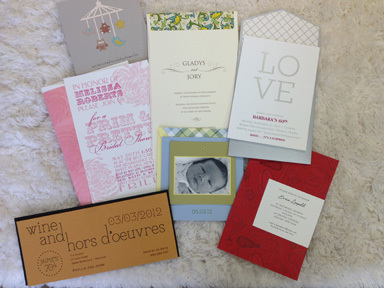 Our studio has cocktail napkins and yalkmulkes and also produces place cards, menus, weekend itinerary and direction cards for your guests. Please call us to set up an appointment to see the new Paper Studio 954-384-8703. 1730 Main Street ~ Suite 216 ~ Weston, FL. 33326 and like us on Facebook and follow us on Instagram and Twitter.